Capitalism could be OK in a system that is democratic. Democratic meaning that human values are respected and that people and Nature are not treated as mere commodities in a system allowing huge inequalities, abuse, exploitation and other injustices. 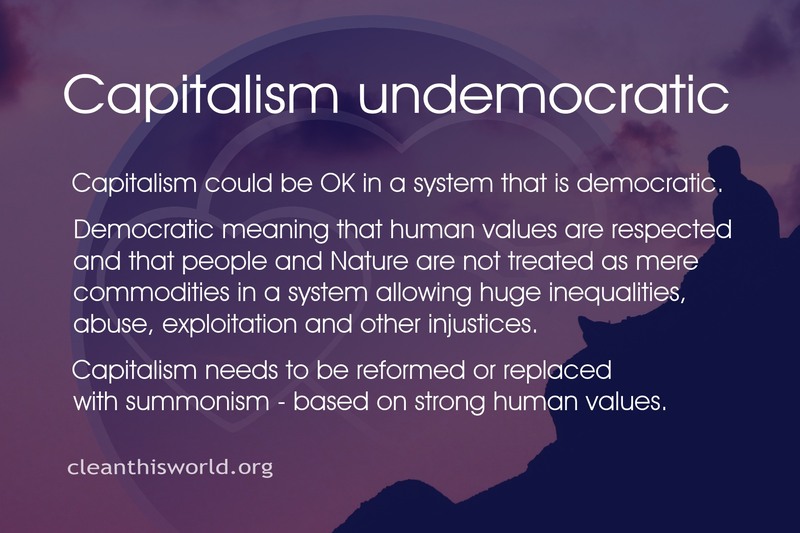 Capitalism needs to be reformed or replaced with summonism – based on strong human values.